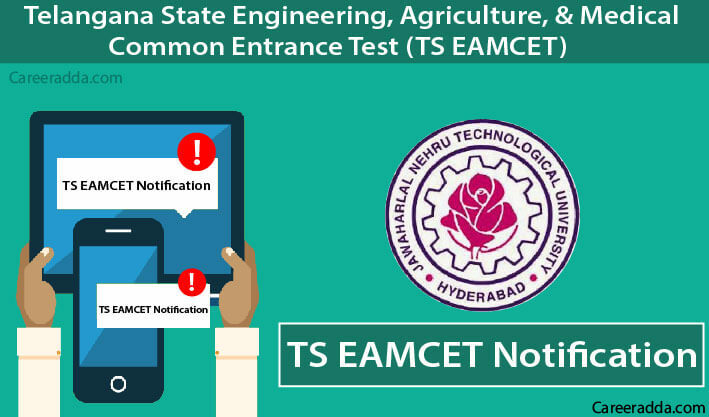 TS EAMCET 2019 Notification [Application Form, Apply Online] : TS EAMCET is expanded as Telangana State Engineering, Agriculture, and Medical Common Entrance Test. As the name of this test very well denotes, it is conducted for admission to the engineering, agriculture and medical courses in the state of Telangana. The test is being conducted on behalf of the Telangana State Council of Higher Education shortly called as TSCHE by the JNT University (JNTUH) Hyderabad. It is a state level entrance test and it is a pre-requisite for admission to the courses mentioned above in private colleges and universities in the state. It is held once in a year. Based on the year 2018, it is expected that the official notification for the TS EAMCET 2019 will be released in the last week of February 2019. For candidates planning to apply for the pharmacy and engineering courses, they should have completed 16 years of age. They should attain this age by the 31st of December 2019. There is no restriction on the upper age limit of applicants. For B. Tech in agriculture engineering, food, and dairy technology, applicants must have completed 17 years of age as on the same date above. 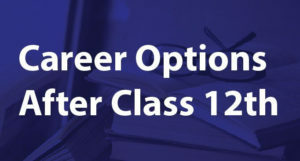 The upper age limit for these courses is 22 years for all candidates and 25 for reserved category candidates as on the same date. Admission of students is made through TS EAMCET for different courses like Engineering, biotechnology, B. Tech in dairy technology, agriculture engineering, B. Pharmacy and Food Technology courses. Also, based on this score, admission is offered to other courses like B. Sc Hons in Agriculture, Horticulture, Forestry, Veterinary Science & Animal Husbandry, and B. Tech in food technology courses. Even, for pharm. D admission is done based on this score. 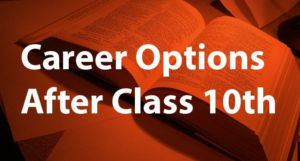 It means that the educational qualification requirement is different for each course. So, candidates can check the official notification once it is out for 2019 before they apply for the TS EAMCET 2019 to ensure their suitability. Applicants with physics, mathematics, chemistry/biology or biotechnology as an optional subject in their higher secondary or its equivalent course should submit their E stream online application. This application is applicable for B.E/B. Tech, B. Pharm, and Pharm-D courses. Applicants with biology, physics, and chemistry as optional papers in their higher secondary, intermediate or equivalent course should submit their AM Stream online application. It is applicable for candidates applying to B. Tech in Biotechnology, Food Technology, B. Sc (Hons.) in agriculture, horticulture, forestry and B. V. Sc & AH. TS EAMCET 2019 – How To Apply? Applicants can submit their application form for TS EAMCET 2019 only online. They should do the same before the last date specified in the notification by the convening authority. Candidates are recommended to visit the official website of the test at http://eamcet.tsche.ac.in. At this website, they will have to carefully read the instructions to apply online and they should also carefully go through the user guide for form filling. 2 If the payment is going to be made through TS online, the appropriate number is needed Receipt from TS Online. 3 Qualifying examination appeared or passed along with hall ticket number of the qualifying exam Mark sheet or hall-ticket of the intermediate or 10+2. 6 Local Status whether Non-local/SVU/AU/OU MRO or Competent Authority local candidate certificate. 7 Income of parents The income certificate issued by MRO/Competent authority. 8 Study details Study certificates from class I to Class XII/Intermediate. 9 Category (SC, ST, BT, etc. )/application number of caste certificate The caste certificate issued by MRO/Competent authority. 10 Special category (Sports, NCC, CAP, PH, etc.) Certificate Issued by Competent Authority. 11 Aadhar Details UIDAI issued Aadhar Card. The test is of objective type and the test takers will have to complete all three sections within 180 minutes. There will not be any negative marks for wrong and questions that are not attempted. Each question will be displayed both in English and Telugu. If the candidate wants to get rid of an answer, he/she will have to go for the clear response option. If he/she feels that the answer is correct, the candidate can move on to the next question by clicking save and next. Candidates, who have secured the qualifying marks in TS EAMCET 2019, will be assigned ranks in the order of merit based on the combined score they get by giving weightage in the ratio of 75% for Normalised marks secured and 25% to the marks secured in the appropriate group subjects like mathematics/biology, chemistry, and physics of the qualifying examination. How Does Normalised Mark Arrive? As the TS EAMCET test is conducted in different sessions, students taking the test each session will have a different set of question paper. Just because they should not feel that one set was tougher/easier than the other, JNTU follows an approach called Normalised mark. Here, SASD denotes Sum of Average (A) and Standard Deviation (SD) of the subject of a session in which the candidate appeared. Here, GASD stands for A and SD of all candidates across different sessions of the subject put together. STA is the average mark of the top 0.1% of the candidates in the subject of a session, wherein the candidates appeared. GTA stands for the average mark of the top 0.1% of the candidates across all the sessions of the subject together. Candidates can get to know the detailed syllabus for the engineering stream from here. In the same way, candidates planning to apply for the agriculture/medicine stream can get to know the syllabus at here. For the TS EAMCET 2019, the applicants can download the hall tickets from the official website of the examination at eamcet.tsche.ac.in. The tentative dates to download are between the last week of April 2019 and the first week of May 2019. Candidates can get to know the exact date along with the notification that JNTU publishes for TS EAMCET 2019. For the year 2019, it is expected that the results will be published by the end of May. In the same way, candidates can expect the results for the TS EAMCET 2019 at the end of May 2019. It happens after the publication of answer keys. Candidates will be admitted to the appropriate courses based on the cut-off they get in TS EAMCET 2019. The minimum qualifying cut-off will be decided by the convening authority based on different factors. After determining the cut-off, the university will prepare the merit list of selected candidates based on which they will be ranked. The allotment of seats for the entrance test is done for eligible candidates based on the merit list 2019. Only selected candidates will be in a position to take part in the counselling and seat allotment procedure. Candidates will be selected on the basis of their cut-off only. The total number of students applying for TS EAMCET 2019.